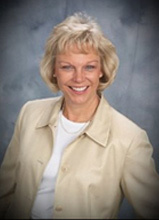 Beverly Ray of Monument, Colorado has been a professional educator since 1975. Bev has been a teacher, special education supervisor, executive director of instruction and a principal at the elementary, middle and high school levels. Beverly Ray has been an adjunct professor at the graduate level for the past 12 years in the areas of leadership, special education, and curriculum. Beverly Ray has worked extensively with prominent Charter Schools across the United States in program development, administrative leadership and academic achievement. Beverly Ray has a B.S. and a M.S. from the University of North Dakota in Speech and Language Pathology. She has an Educational Specialist degree from the University of St. Thomas, St. Paul, Minnesota in Educational Administration, and Curriculum and Instruction. Beverly Ray is a consultant in the area of curriculum and instruction, and special education and has extensive experience with teacher training from elementary to high school. During her elementary, high school principal positions and central office positions, Beverly Ray implemented the foundations of the A Framework for Understanding Poverty, Learning Structures, and the procedures of Meeting Standards and Raising Test Scores. She retired from public education after 31 years. In the Response to Intervention Workshop (RTI) Learn about the what, the why, and the how of response to intervention (RTI) and the under-resourced learner. This session will cover the components of RTI, student intervention teams, the rationale behind the RTI mandate, and the intervention process for student achievement. We will focus on the three tiers of intervention and the progress monitoring of student growth. The presentation will be completed with a summary of the day's discussion.